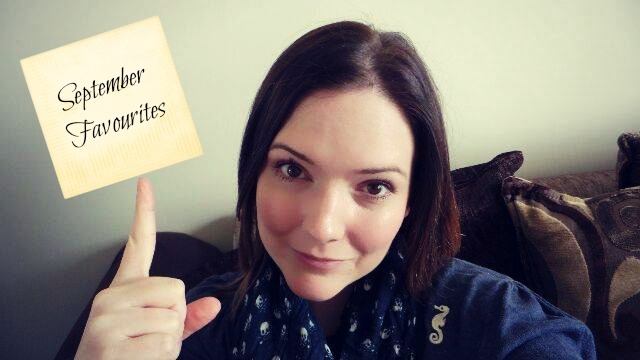 It has been a good while since I did a favourites post, however, here are some of the products I have been loving in September. I have this mascara in Brown, a colour that I prefer as we head towards the Autumn and leave Summer behind us. I especially love the long wand with it's comb like head, it really does lengthen the lashes to give that 'false lash' effect. I like this particular mascara because it isn't at all clumpy and my lashes feel like they can breathe. I think the price is really reasonable and it is extremely good quality. Will definitely be repurchasing this. 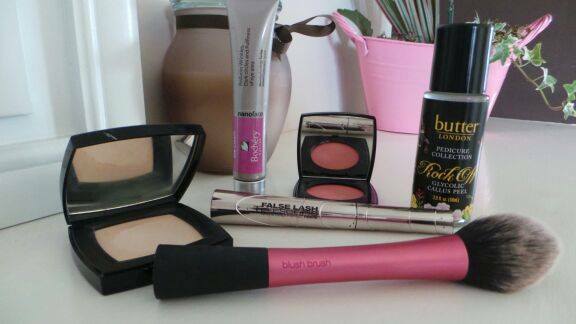 I love the Real Techniques range and I have recently added the Blush Brush to my collection. 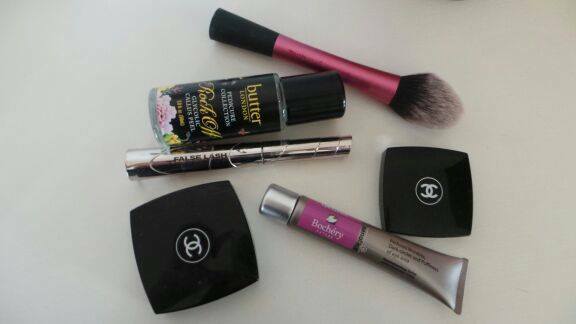 I actually prefer to use it for my powder as I have the Cargo multi use blush for apply my blusher. I will be doing a foot care post soon but I just had to share this with you. If you suffer from tough skin around your heel area, this is perfect to tackle the problem. It has a roller ball head that enables you to glide this all over the problematic areas with ease, wait and few minutes and then use a pumice stone to gently rub over the treated area. 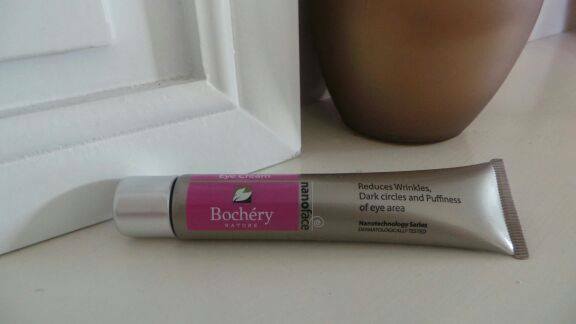 This eye cream comes from Bochéry Natures 'nanoface' series and was actually sent to me for review. All the reviews I do are my own opinion and I can honestly say that I have noticed a visible difference since using this product a few weeks ago. A real luxury item. It is designed to reduce wrinkles, dark circles and puffiness around the eye. Use this product morning and night by gently massaging around the eyes until the cream is absorbed. The products in the Nanoface Series use 'modern skin renewing nano-complex comprised of oligopeptide enzymes inside the lipsomes' - sound foreign to you? Yeah me too - it basically aims to achieve 'maximum penetration' within the active ingredients deep into the layers of the skin. The active ingriedients includes, vitamins and proteins, to name but a few, which provide hydration, helps the appearance of age spots thus promoting radiant and more youthful looking skin. This season Cremé blushes seem to be proving more popular than their powdery sisters. Since starting to use a cremé blusher in June, I use one every day, finding myself reaching past the others in my collection. This Chanel Blush forms part of the Autumn Collection - I chose the shade ' Révélation' which is a warm rosy/pink, in fact when I bought this I was lucky as I got the last one, the assistant said that this one was the most popular out of the 6 shades in the range and it was selling out every day. I chop and change between this and my Cargo creme blush, which has appeared in previous favourites post, reason being the Cargo blush is a little cheaper and you get more of it, it is quite nice to keep Chanel as a treat. Whilst I was at the Chanel counter I decided to pick up a new powder compact - I was torn between the loose and the compact. I chose the compact powder because it slips tidily into my handbag, it has a mirror and quite frankly the loose powder container - although beautiful with its power puff, would just prove too big to carry about. I may consider getting it for my dressing table in the future. This sheer glow powder is so light and perfect for sealing in your foundation or bbcream. So there you have it, my favourites for this month. 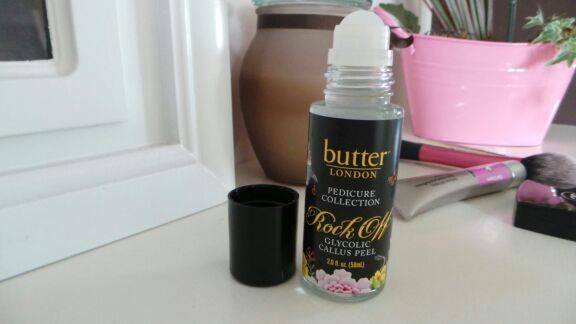 That Butter London stuff for your feet sounds great, definitely looking forward to reading your footcare post! I've heard so much about L'Oreal Teloscopic, I need a new mascara soon and this is one of the ones I'm considering due to all the rave reviews! 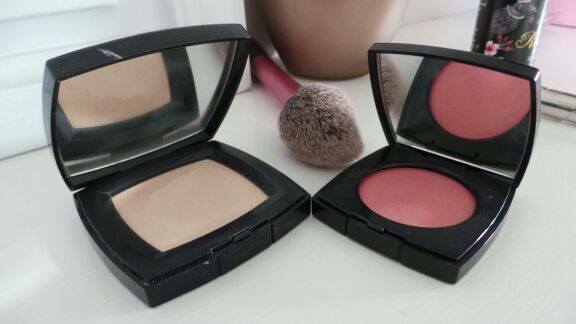 Fab post hun - I'm a big fan of Chanel's creme blushes too!! They are drop dead gorgeous, only wish they were a little cheaper - will just have to buy one a month lol. Hi Ebony, the Chanel blush is absolutely gorgeous. If you don't wear blush much though and want to try a creme i'd recommend Stila Convertible colour, it is a good bit cheaper but very good quality too. Or the Cargo one I mentioned. The Real Techniques blush brush is soooo nice, one of my favourites as it is so incredibly soft.